Napco companies will unveil the latest agricultural packaging and films in Doha. Easternpak and Napco Modern Plastics Products Company - Sack Division will exhibit in Agriteq 2008 in Doha from 25-28 March. The Regional Sales Manager and Product Specialist from Napco NEMA (Near East, Middle East & Asia) will also be available at the Napco stand, #C28, throughout the show. 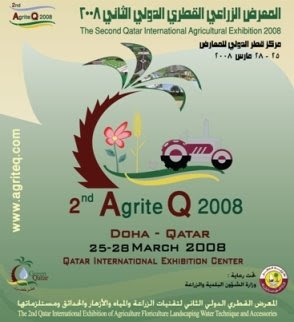 Agriteq, the second international agricultural exhibition, will be held at Qatar International Exhibition Center under the patronage of the Ministry of Municipal Affairs and Agriculture. Easternpak will display its range of corrugated trays and boxes for fresh fruit and vegetables, including cold storage packaging. Napco Modern will highlight its array of plastic horticultural and agricultural films: compost bags, geo-membrane, greenhouse covers, ground cover, hydroponic fully film, low tunnel film, mulch film, protective bags for bananas, and soil disinfection films. Napco Modern’s Technical Division, also participated in Saudi Agriculture 2007, the 26th International Agriculture, Water and Agri-Industry Show in November at Riyadh Exhibition Center. At this show, they promoted packaging materials for the agricultural and food processing industries, including barrier films, form-fill-seal (FFS) films, meat packaging sleeves, wicketed bags for poultry, and plastic storage bags. Napco Modern Plastics Products Company Ltd.